As they are walking together, Queen Valanice is lecturing her daughter, princess Rosella, about marriage. Rosella prefers dreaming of adventure rather than marriage. While listening to this lecture, Rosella sits down next to a pond and sees a beautiful castle in the water. Rosella jumps in, determined to find the castle. Valanice jumps into the pool after her and they both find themselves in a whirlwind of colors, spiraling down. Just before they can reach other, a troll's arm pops out from the side and pulls Rosella out of the whirlwind. Valanice lands in a desert in the land of Eldritch, while Rosella finds herself transformed into a troll and engaged to be married to the King of the Trolls. As the two characters attempt to find each other, they discover that all of Eldritch is in danger. The evil fairy Malicia has attacked or imprisoned the leaders of the different kingdoms of Eldritch, and plots to destroy the land by blowing up the volcano. 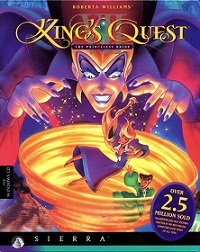 King's Quest VII: The Princeless Bride, released in 1994 for multi-media only, featured high-resolution graphics in a style reminiscent of Disney animated films. It is also the only King's quest game with multiple protagonists, and the only one to divide the story into chapters, each set primarily in a different region of Eldritch. King's Quest VII is the only game in the King's Quest series to feature Queen Valanice as a playable character, and also the only one in which King Graham is not shown or mentioned at all. The player alternates between Valanice and Rosella with each chapter. The game has two different endings and reintroduces Edgar from King's Quest IV. 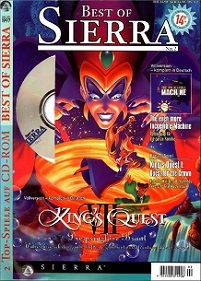 King's Quest VII was developed with the new, multimedia-friendly, 32 bit version of Sierra's SCI interpreter: SCI-32. One of the features of this interpreter was support for Super VGA graphics at a resolution of 640x480 pixels. Another significant change from previous King's Quest games, was the introduction of the "smart" pointer. 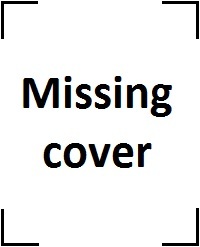 When playing the game, the pointer lights up when passed over an object that can be used, whereas previous games required the player to select an action icon and then clicking on the environment, without indicating which parts of the game could be interacted with. To some critics, this new interface oversimplified the gameplay and the disney-like style was a step away from the previous titles. 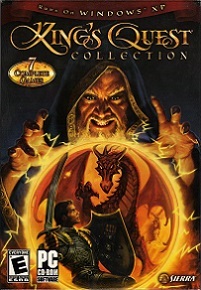 However, with the rapid increase in computer sales it was also obvious that the market of novice computer users was expanding, and to grab hold of that market, King's Quest VII needed to be easy to play. Also the cartoony approach was bound to attract more children to the series. Roberta Williams, who was at the same time working on Phantasmagoria, co-designed King's Quest VII with Lorelei Shannon. Lorelei co-designed Pepper's Adventures in Time with Jane Jensen, co-designer of King's Quest VI. Lorelei, a big fan of the horror-genre, would shortly after have her entirely own project, designing the sequel to Phantasmagoria: A Puzzle of Flesh.